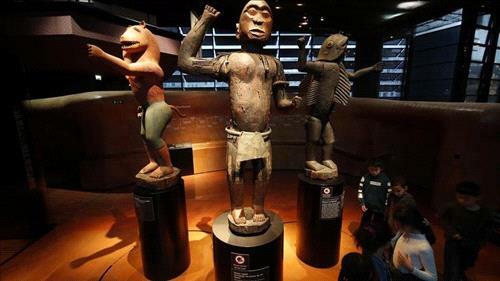 AMMONNEWS - France will return 26 works of art to Benin, Emmanuel Macron’s office said on Friday, as the French president took delivery of a report recommending the widespread return of cultural artefacts removed from Africa during the colonial era. The report by Senegalese economist Felwine Sarr and French art historian Benedicte Savoy marks a potential milestone in the fight by African countries to recover works pillaged by Western explorers and colonizers. The 26 artefacts to be returned to Benin from Quai Branly were seized in 1892 as the spoils of war. They are among some 5,000 works requested by the West African country.